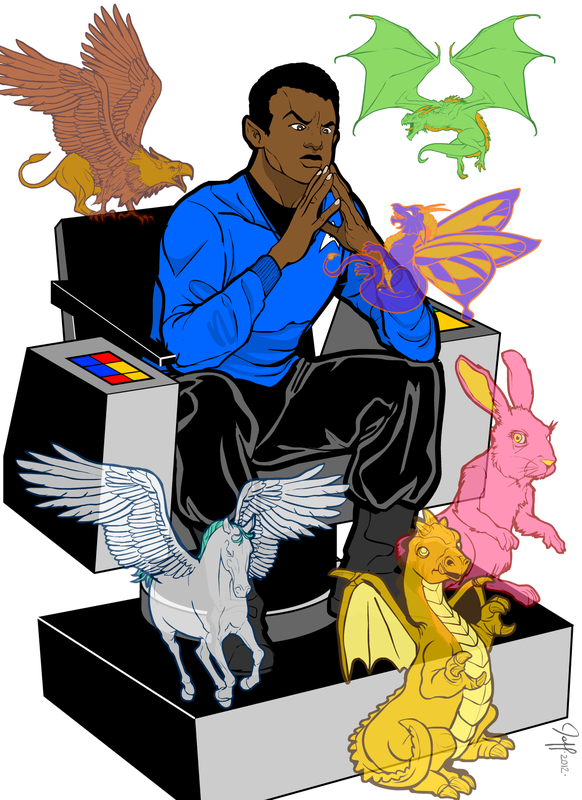 Starfleet Science Vessel Captain S'Jenes has a problem: He knows dragons and mythical creatures are not real. And yet, he sees them when no one else can. Logically he must be hallucinating, but there is no medical or psychological evidence for that hypothesis. Other than, you know, the fact that he can see the little buggers. Jeff I like your cap’n. Anyways here is my female ceremonial Stripper- Pearl! I know this will fall on “deaf” ears, but…. Boy do I wish we could have that chair as a background element….